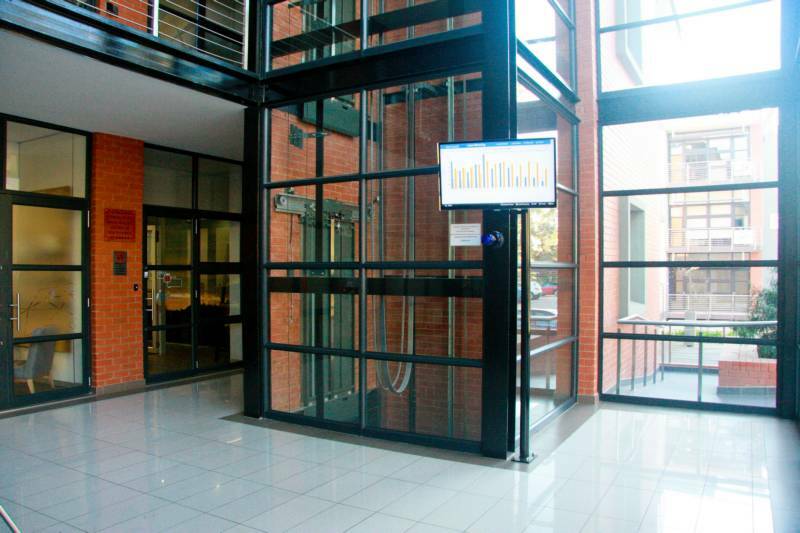 Tenants are able to monitor energy consumption in real time via a screen in the entrance and a page on the web, which shows minute-by-minute energy consumption. 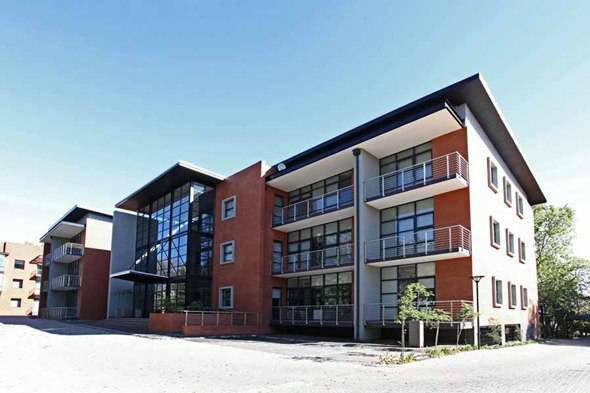 The Clay Brick Association of South Africa congratulates developer Ron Henderson of Brydens Commercial Properties and Architects Bromag on their innovative and eye-catching solution to energy and resource efficient commercial buildings. 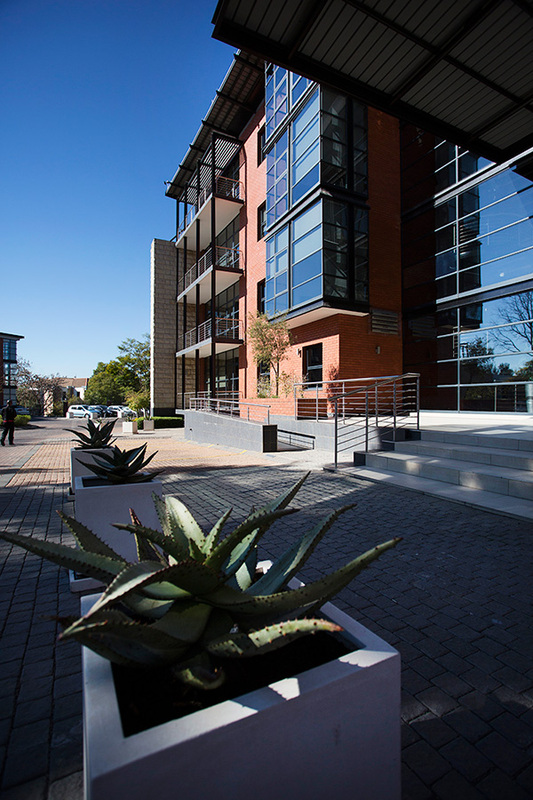 Upper Grayston Block F was the first commercially viable building in Gauteng to achieve a 6 Star – Green Star SA Office v1 – As built Rating. 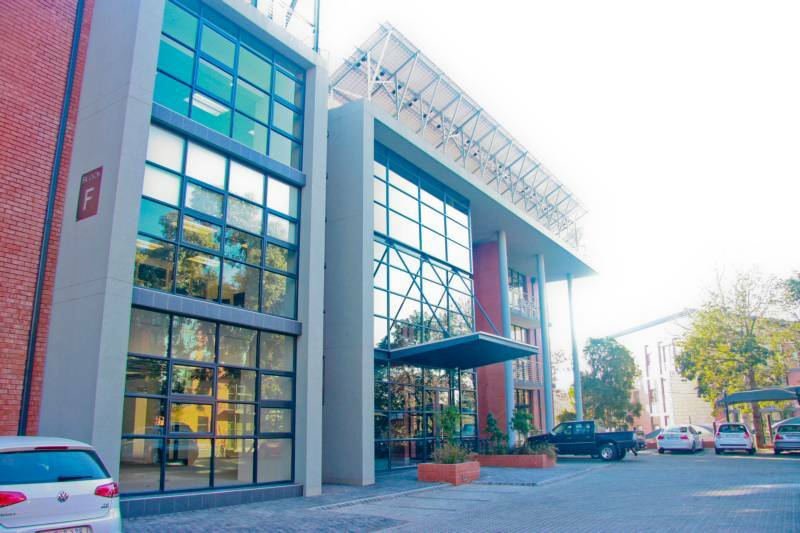 The office block makes astute use of passive design, energy efficient systems and carefully selected construction materials to lead the way in South African sustainability. The interior of the building is effectively shaded from sun in summer, but in winter sunlight may enter and warm the building. 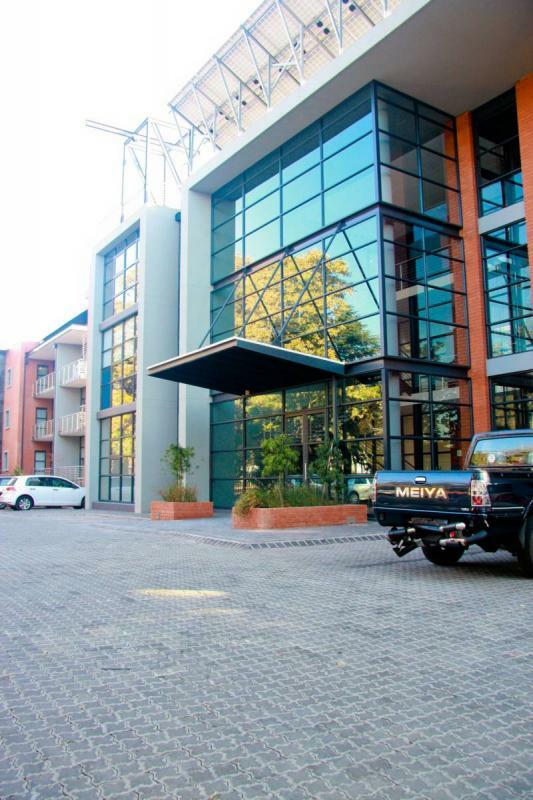 The top-rated commercial building in Gauteng’s most exclusive business district uses clay brick to provide a tactile and organic element to soften and warm the glossy steel and glass structure. The visual contrast between courses of header and stretcher bricks complements the strong vertical and horizontal lines of the building. Brick masonry ensures a low maintenance walling that has excellent insulation ratings. 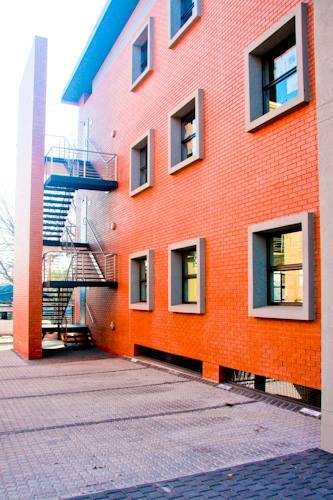 Block F is adjacent to Block E, which received a 5 Star – Green Star SA Office v1 As Built and has the same clay brick feature walls to provide a unifying thematic element for the entire office park development. 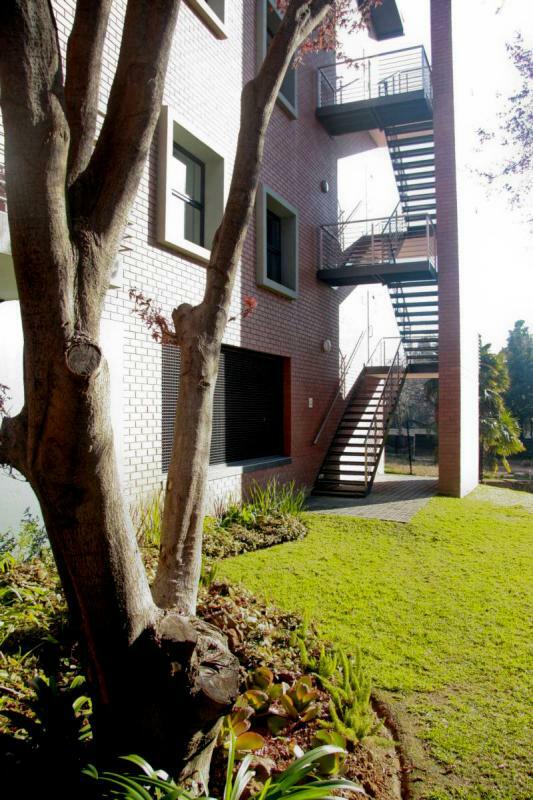 The experienced project team applied the lessons learnt from each building in the park, to improve sustainability. Office buildings consume large amounts of energy and water and contribute heavily to global warming and pollution. But that also means they are potentially an easy and inexpensive way for a city to save on carbon emissions by reducing reliance of South Africa’s energy grid that uses coal-fired power stations. “Solar panels for both power and heating will ensure that no energy is used to heat water,” explains developer Ron Henderson “By using good architectural principles and passive design, a minimal amount of heating is needed”. Commercial buildings create a heat island which impacts on microclimates, human and wildlife habitats. The right planning and construction materials can reduce this effect. Because of its density clay brick has superb insulation properties that not only reduce reliance on air-conditioning and heating, but also reduce the loss of heat into the environment. All timber used in the project comes from a sustainable forest and is certified by the Forest Stewardship Council. The amount of concrete used in construction has been reduced through the addition of fly ash into the mixture. Fly ash is recycled material from coal-burning power stations. Fifty-three square metres of photovoltaic (PV) panels have been installed on the roof, designed to meet 15% of the building’s peak demand at its highest production. Over a yearly cycle it is expected to provide 15 000kW, around 10% of the building’s energy requirements. 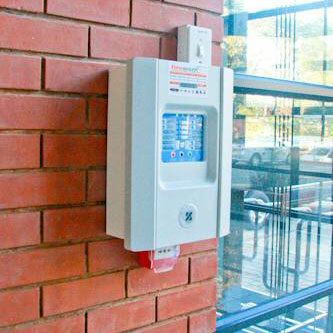 The system has no batteries to store energy and works by first drawing energy from the panels before using the mains power connection to meet demand. “We found that while meters are typically specified at high resolution for green buildings, they are seldom used and the valuable information they collect is not accessible to building users,” says Warren Gray of Solid Green Consulting. Providing tenants with access to their usage allows them to take charge of usage and also automates billing. Tenants are incentivised to save electricity because they only pay for what they use and not a pro-rata amount based on office size. A significant amount of the building’s water is reclaimed from rain and filtered and purified, and municipal water will only be used when the tanks are empty. Rainwater is captured from the roof and collected in a 5m³ rainwater storage tank. Harvested rainwater is used for toilets, shower and taps. Hot water, generated through a solar panel system, is circulated. 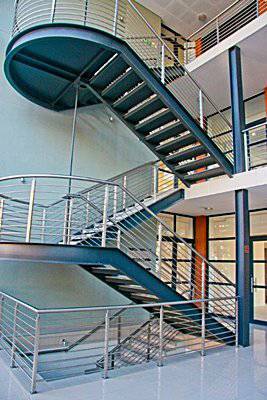 Commercial buildings tend to have closed air recirculation systems with many people in close proximity. Clay Bricks are an excellent walling choice as they release no VOC’s (Volatile Organic Compounds) to impact on indoor air quality. Made from 100% natural clay and shale, clay bricks meet all necessary requirements for healthy living, and cannot contribute to "sick building syndrome"
The building also has large glass windows which let in natural light and air, reducing the need for artificial lighting and climate control. 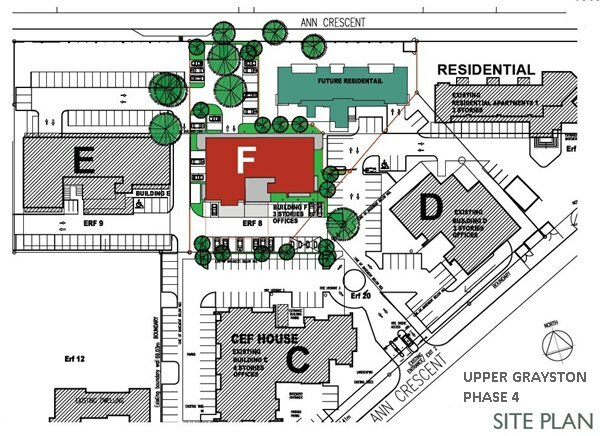 A mixed-mode ventilation system allows the building to use mechanical ventilation only when necessary.